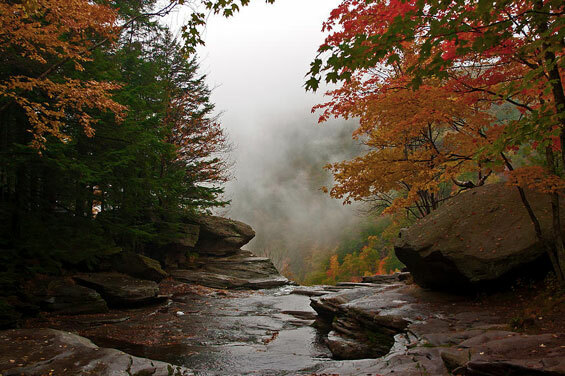 A hike to Kaaterskill Falls in the Catskill Mountains of New York State makes for a great day trip. 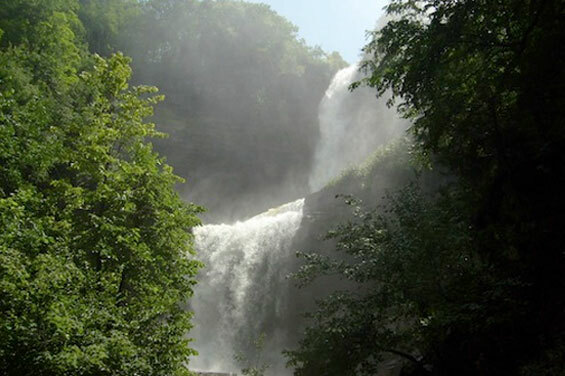 Kaaterskill Falls, the tallest double-tiered waterfall in New York, has inspired artists such as Thomas Cole and Frederic Church, and you can behold its beauty at the end of a moderate, half-mile hike. 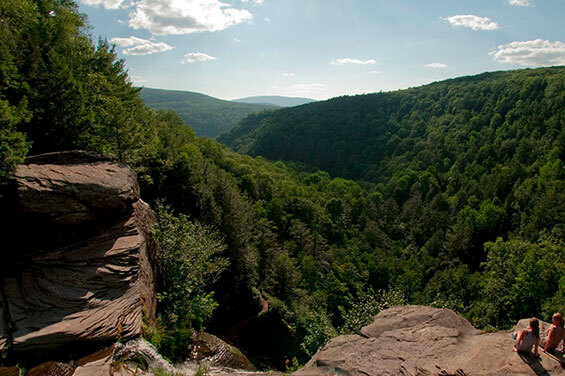 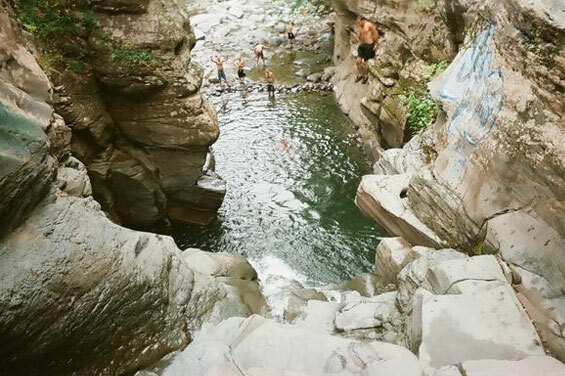 The entrance to the trail that leads to Kaaterskill Falls is located less than a mile from the Twilight Lodge. 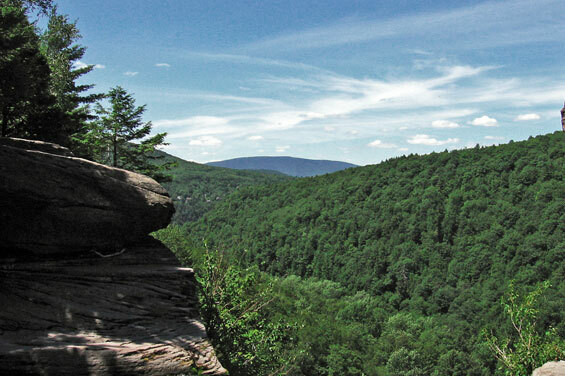 You'll find a small parking area on right side of Route 23A. 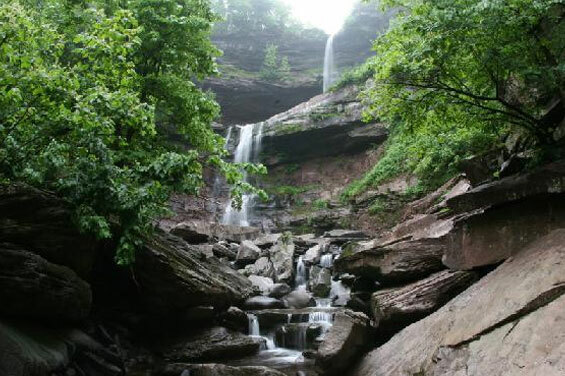 Once you have parked (and be forewarned that the parking lot is often full, necessitating parking along the road), walk downhill toward the Bastion Falls, where you will find the trailhead for Kaaterskill Falls. 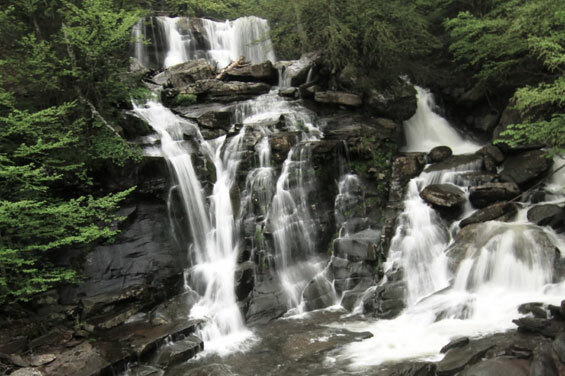 It is just a five-minute walk from the parking area, but Route 23A is narrow and winding here, so be alert as you begin your waterfall journey!